You can now add the OnePlus One to the list of phones that have managed to explode in their owners' pockets at some point. 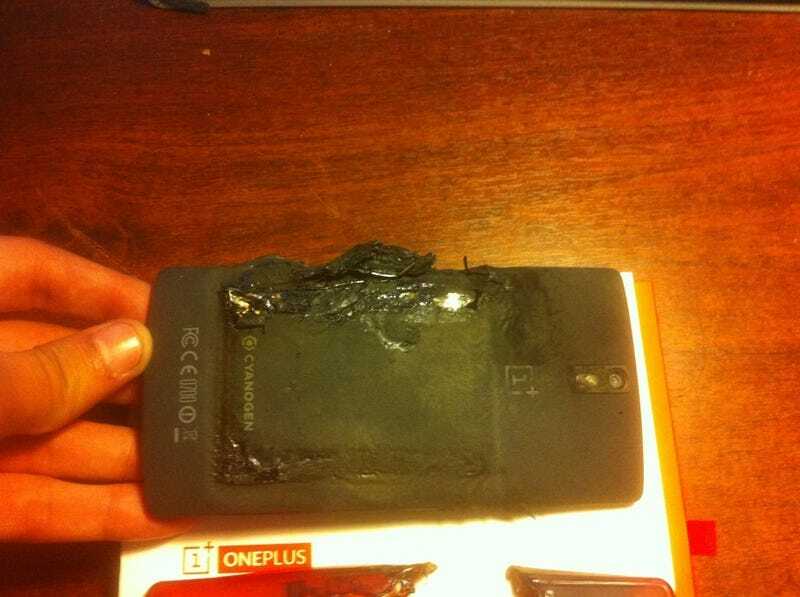 In a post on the company's forum, OnePlus One owner MiYzu writes that the phone blew up as he was riding the subway. The explosion burnt the phone's case, put a hole in his jeans and burnt his leg, which is funny, since the phone was allegedly in his rear pocket. OnePlus has already dispatched people to MiYzu's residence to physically retrieve the blown-up phone and found out exactly what happened, according to a statement they issued to Android Police. The exploding tendencies of lithium-ion batteries are well-known, but according to Android Police, the OnePlus One uses a lithium polymer battery, which should make it more difficult to damage due to external stresses (you know, like sitting on it).